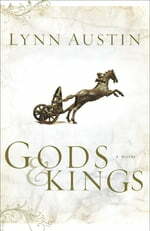 Lynn Austin has sold more than 1.5 million copies of her books worldwide. A former teacher who now writes and speaks full-time, she has won eight Christy Awards for her historical fiction. One of those novels, Hidden Places, has also been made into an Original Hallmark Channel movie. Lynn and her husband have raised three children and make their home in western Michigan. Learn more at www.lynnaustin.org. 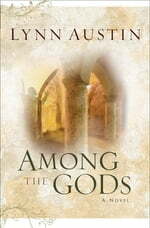 A riveting retelling of the life of King Hezekiah from one of the most talented CBA historical novelists writing today. Chronicles of the Kings book 1. Chronicles of the Kings Book 3- God has rewarded Hezekiah's faithfulness with great wealth and power, but the king has much more to overcome. Will his faith sustain him against the ultimate enemy? An unlikely gathering of four very different women as they encourage, shape, and influence each other, learning valuable lessons about life, love, and faith. Two men pained by the past struggle to reclaim the Heavenly Father they lost long ago in this unforgettable conclusion to the Chronicles of the Kings series. 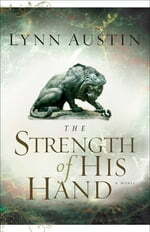 Chronicles of the Kings book 5.